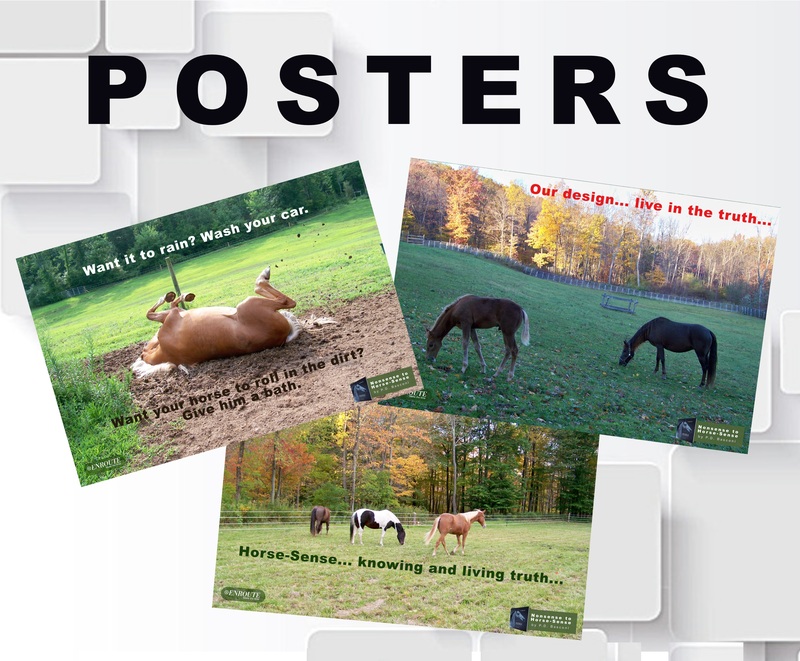 These posters below demonstrate the concept of common sense through the eyes of horses – something author P.D. “Dave” Basconi calls horse sense. The poster series celebrates Dave’s book Nonsense to Horse-Sense: How Horses Tell Us the Truth about Ourselves and How to Live. Special note about the links below – each one will take you to the poster’s home page on Zazzle.com, and you’ll be invited to select the size of the poster you want and the quality of the paper, wood, or metal background you want it printed on. How you display it and on what, then, is totally up to you!